Rennco manufactures semi-automatic and fully automatic vertical bagging machines. 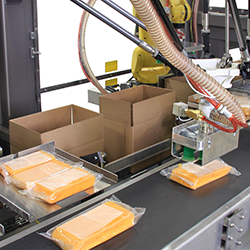 The consumer goods industry uses Rennco equipment for their poly bagging needs. 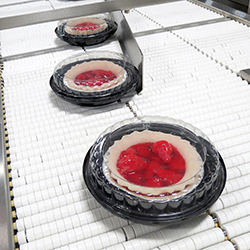 Rennco offers custom poly bagging and bag sealing equipment for the consumer goods industry and packaging applications. With semi-automatic vertical bagging machines and automatic bagging systems, the consumer goods industry saves time and energy by utilizing a reliable and versatile packaging system. The vertical baggers are used for packaging common and unusual shaped items in bags. 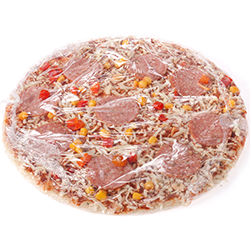 As it is a cost-effective alternative to pre-made bag machines, the Rennco packagers provide the consumer goods industry with packaging options for products of all shapes and sizes. The Vertical L Bar Sealer E-Pac is a vertical packager with servo motor drives for film feed and seal assembly open and close. This bagging machine is ideal for cylindrical and odd shaped products in the consumer goods industry. Offering expertise in vertical bagging equipment, Rennco offers a reliable and versatile bag sealing experience. 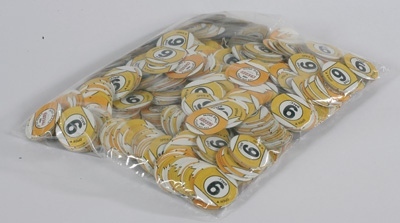 The Bulk Packaging System provides production for items that require bulk packaging, including bottle caps, lottery pogs, puzzle pieces, etc. The SPS packaging system is used for applications where stacks of items or multiple items are transferred vertically into the web of material. 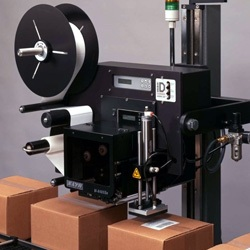 The Vertical L Bar Sealer, Voyager, seals up to 60 packages per minute. Half the size of automatic horizontal L-bar sealers, this technologically advanced machine is perfect for the consumer goods industry. Ready to package all consumer goods products, Rennco has the durable and reliable machinery for your application. Get in contact with a representative today.